Scripture: Psalm 86:1 In those days King Hezekiah became sick and was at the point of death. The prophet Isaiah son of Amoz came to him, and said to him, “Thus says the Lord: Set your house in order, for you shall die; you shall not recover.” 2 Then Hezekiah turned his face to the wall, and prayed to the Lord: 3 “Remember now, O Lord, I implore you, how I have walked before you in faithfulness with a whole heart, and have done what is good in your sight.” And Hezekiah wept bitterly. 4 Then the word of the Lord came to Isaiah: 5 “Go and say to Hezekiah, Thus says the Lord, the God of your ancestor David: I have heard your prayer, I have seen your tears; I will add fifteen years to your life. 6 I will deliver you and this city out of the hand of the king of Assyria, and defend this city. Observation: King Hezekiah, unlike several wicked kings before him, was a good, faithful king. In other words, he did what was right in the eyes of God. He did not worship false gods, nor did he tolerate anyone in his kingdom doing so. And it would appear he had the ear of God who, when Hezekiah was deathly ill, spared his life for 15 years. Application: You don’t have to be a king to have the ear of God. When God’s children cry out to him, he listens. This morning I’m praying for the group of 15 people from my home church who are here in Detroit for the ELCA National Youth Gathering. Today is our group’s service day during which we’ll be moving from our downtown base into the city to serve people living in impoverished neighborhoods. We’re just a few of the 30,000 or so youth and adults participating. It’s awesome! Please pray for us – that we will demonstrate the love of Jesus in word and deed. And don’t be afraid to pray for yourself. It’s not “selfish” to pray for yourself, as some people seem to think. Hezekiah sets a good example today. When in need, any kind of need, PRAY! God is listening. 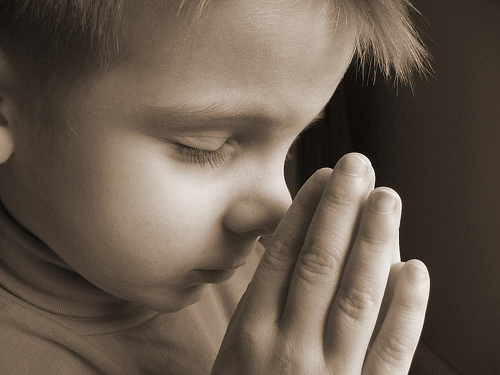 Prayer: Lord God, hear your children praying. Give us the favor you gave to Hezekiah, and give us grace to praise your holy name. Amen.